Sometimes I moan. Sometimes I fret about the little things. 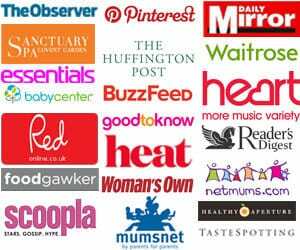 George hasn’t eaten his lunch and Harri has posted all of her hair clips down the toilet. Sometimes I get caught up in the rush between, milk, breakfast, nursery, work, home, tea, washing, bathing, dinner, wine. Sometimes I lose track of where the days go..
And then, I notice the little things. 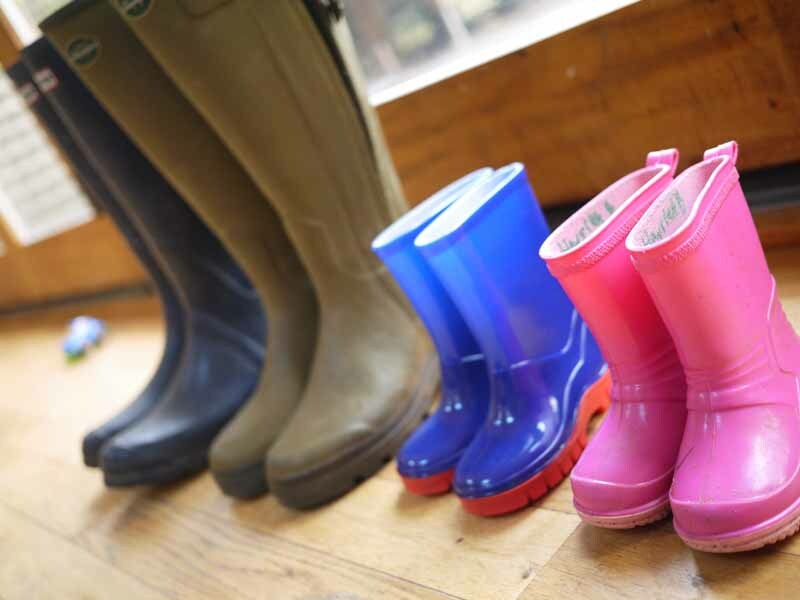 A row of wellies epitomises family life to me. 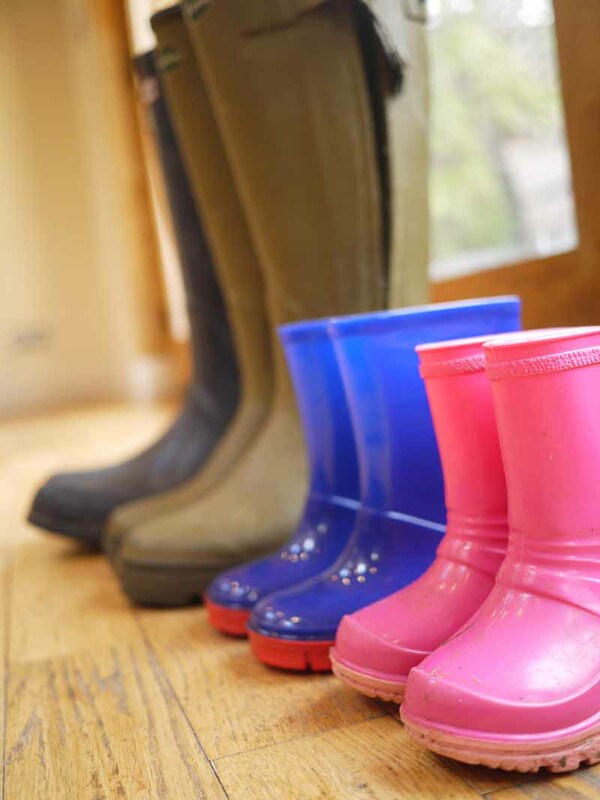 I can remember so vividly pulling on my wellies after a second failed IVF attempt. Getting ready to go for a stomp outside to yet again try to blow away the gnawing sadness. 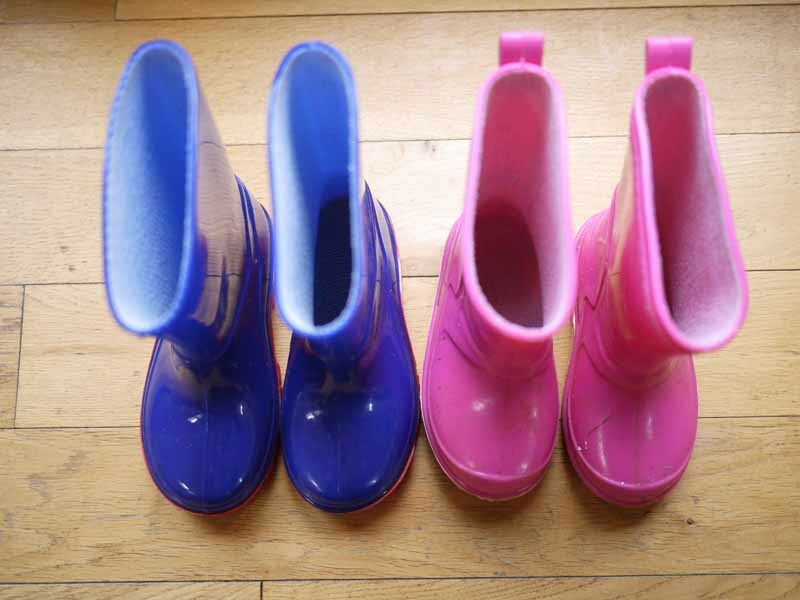 I remember sitting on the bottom step and the realisation that I’d never see a row of wellies in our house. 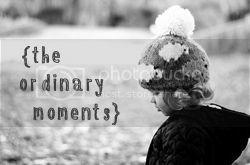 That moment, that silly little, insignificant family moment I would never have left my heart with a renewed ache. 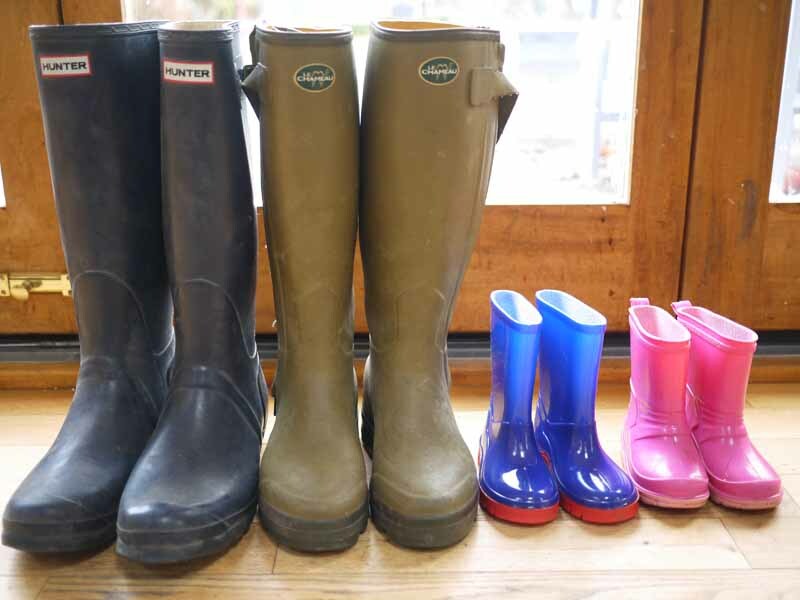 Then today, there was a row of wellies (and some grateful tears of happiness). I think the little things are so important too. Love the photos. 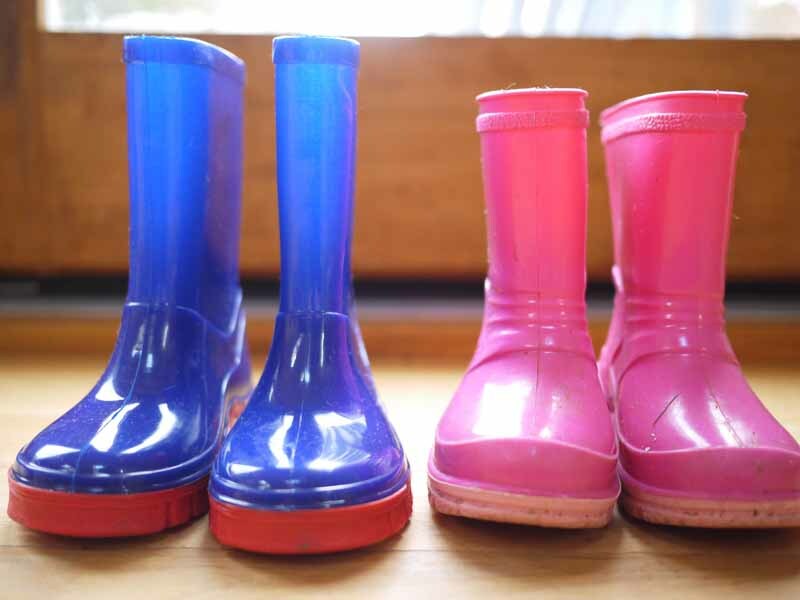 I love looking at our little row of wellies here too – until I put them on and find lots of hidden lego that the children have been posting in there! Haha, I found a grape in my other boots today Annie, mmmm, squishy.. Thank you. It makes me wonder how long they’ll stay tiny for.. Thanks honey. Keep in touch. How are your little lambs? 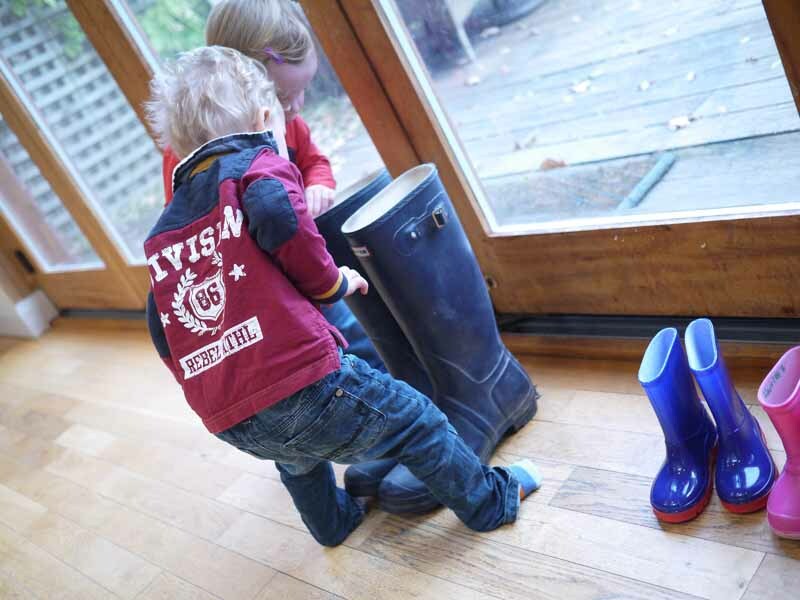 Great story and a row of wellies seems to mean a lot to many these days.